POSTPONED->Julian Assange will make a speech this Saturday from the Ecuadorian Embassy – c’mon over! You can now find the text of the postponed speech here. Although the speech was postponed, there was still solidarity! Ciaron read the speech to the assembled company and there was music and song. 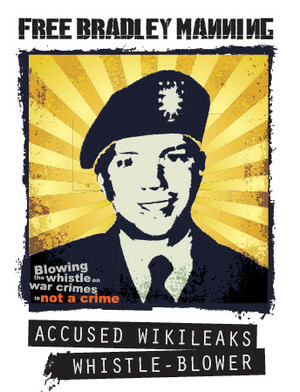 Here are photos from London Friends of WikiLeaks – follow on twitter @LonFoWL. And more here from another supporter. NEWS REPORTS back from Sun 16th June: Metro Belfast Telegraph Dawn via AFP Report here from Sea Shepherd and WikiLeaks Party National Council member, Omar Todd Many pics (incl videos) here from Bradley Libero. Arbolioto blogspot with pics Daily Motion video report. The Age (includes video of Julian greeting Ricardo Patino etc. ).Wise Up report/pics now here. Ecuador sings here and here! Some of the Antipodean singing here! 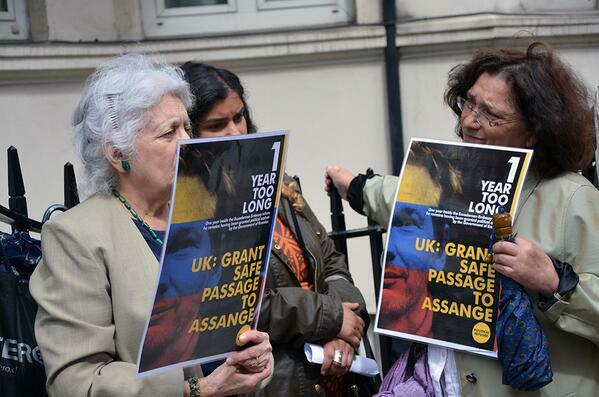 After the enthusiastic welcome of the Ecuadorian Foreign Minister by the lively crowd who joined the regular vigilers at the Ecuadorian Embassy last Sunday, word is now out that Julian will make a speech THIS SATURDAY to mark Wednesday’s 1 year anniversary of his taking refuge in the Embassy. 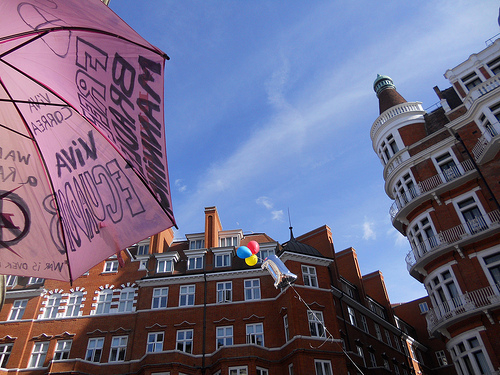 3 Hans Crescent, Knightsbridge, London SW1. Nearest Tube Knightsbridge. This is a new 8 minute video, with some great footage, published to mark the one year anniversary, which looks at the past year from the Ecuadorian perspective. It’s in Spanish, but has some clips in English, and it’s not hard to follow. Well worth watching. Thank you Ecuador! Julian has spoken from the Embassy window on two other landmark occasions; firstly in August 2012, to mark his acceptance by Ecuador for asylum, and then at the 6 month point. Each time has been an occasion for us to come together in solidarity. 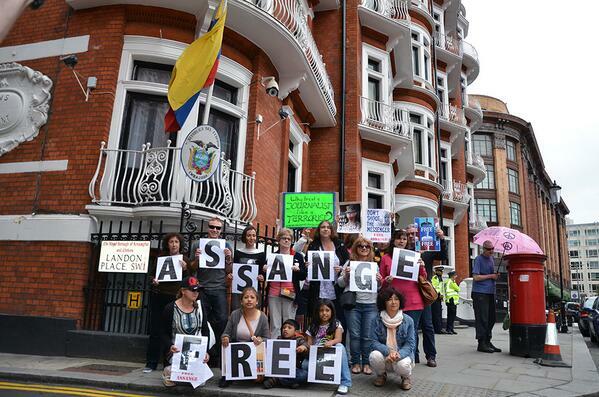 So, come and celebrate WikiLeaks, hear what Julian has to say, thank Ecuador, and, if last Sunday is anything to go by, join the celebrations in song! If you are in two minds; as well as this report from Ciaron and David there’s also series of reports and more photos linked to here on the Wise Up ‘noticeboard’; there’s a 1 year short report that’s worth watching from RT: ‘Assange’s Year on Ice’,where they speak with Julian and show the gathering on Sunday; and here’s two short videos to also convey the atmosphere of that gathering. We remember courageous people facing reprisals for standing up for what is right and defending our freedom. People like Bradley on trial at the moment, and in prison for three years so far. And Jeremy Hammond, held in solitary since March 2012. Barrett Brown facing more than 100 years for sharing a link, and others. And, since just this month, also Edward Snowden, of course, who has used WikiLeaks to approach Iceland about asylum. See today’s report from RT on this, where the interviewer also suggests that Julian may be indicating further revelations via WikiLeaks from Edward Snowden. All these people are connected to WikiLeaks in some way. At this pivotal time, we all need to take our place. Come and show where you stand, be encouraged by engaging with others, and be re-inspired! We live in extraordinary times with extraordinary possibilities. 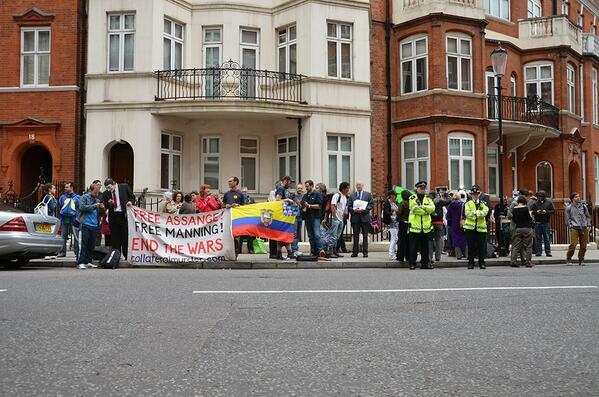 C’mon over to the Ecuadorian Embassy on Saturday and regain some fighting spirit! Gallery | This entry was posted in Announcements, Assange and tagged Barrett Brown, call-out, Ecuador, Ecuadorian Embassy, Edward Snowden, Jeremy Hammond, Julian Assange, London, solidarity, WikiLeaks. Bookmark the permalink. 1 Response to POSTPONED->Julian Assange will make a speech this Saturday from the Ecuadorian Embassy – c’mon over! Julian Assange speech marking the one-year anniversary of his sanctuary in the Ecuadoran Embassy–postponed due to security concerns for Assange.